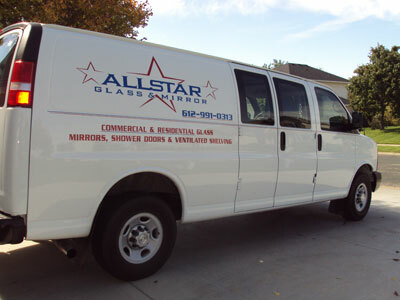 Allstar Glass and Mirror Inc. has been providing the Twin Cities Metro Area with residential and commercial glass and mirror installation for the past 15 years. During this time, we have expanded our installation services to include ventilated shelving and custom mirror frames. We invite you to learn a little bit more about our company as well as the products we offer for installation!